“The MacGillycuddy's Reeks: People and Places of Ireland's Highest Mountain Range” is the spectacular new photographic book by award winning photographer, Valerie O’Sullivan. "Parklight" by Norman McCloskey is the first photography book dedicated to capturing the magic of Killarney National Park. Experience a showcase of traditional Irish music, song and dance in Killarney with Celtic Steps. 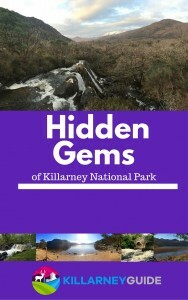 'Scenic Walks in Killarney - A Walking Guide' by Jim Ryan is a welcome addition to the many books that feature some of Killarney's finest walks.